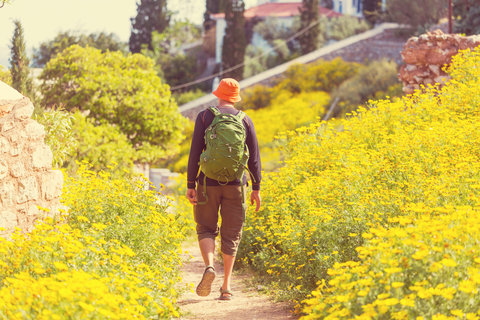 When you’re feeling like taking in the sights of nature, a hike is the perfect idea. Just make sure you’re prepared, in addition to checking off the obvious like being physically up for it, aware of bears, and packing food and water, watch out for the unseen: ticks. Lurking in tall grass, and on cute furry animals you may encounter, ticks lurk. Coast to coast, ticks are everywhere, and the old thought that Lyme Disease is only a problem in the NorthEast is long outdated. Every year, Lyme Disease spreads further west. In addition, they’ve discovered related illnesses carried by ticks that don’t have Lyme’s obvious bullseye rash (something which many Lyme cases don’t have anyway), and that local doctors weren’t aware of until recently. In fact, unless an area has frequent Lyme Disease cases, it’s important to disclose time spent in nature to your doctors if you end up sick, and to advocate for yourself if you think it’s tick related. When you’re out in nature, make sure to avoid ticks by wearing long-sleeved pants and shirts, and by tucking pants into your socks or hiking boots. Ticks love catching a ride on your legs. You can keep cool by choosing lighter materials like linen. Pets that come with you may also pick up ticks, so check everyone, pets too, when you’re done. Any ticks that have latched and can’t be brushed off can be removed in a straightforward way—tweezers and a grip close to where they attached. Avoid tick removal gimmicks as it can cause the tick to panic, and end up increasing your chance of catching a tick borne illness. Once removed, collect the tick in a jar or baggie in case you want to have it checked for Lyme Disease (sometimes cheaper than screening humans). If you live near nature, you can even pick up ticks in your own backyard, so groom away tall grass, and create a border with nature. Also clear anything that might attract rodents, like piles of rock or wood. Then follow the same steps to prevent, check for, and remove ticks. And don’t forget that you can help your body stay strong and prepared with colloidal silver. Lyme Disease is a battle against the immune system with lots of inflammation, so make sure your immune system is supported with colloidal silver.